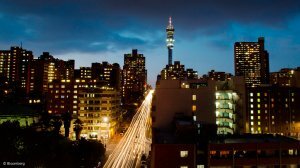 Opinion emerging from a think-tank panel discussion on Friday has proposed that South Africa’s stagnant growth is largely the symptom of an insufficient policy mix, the lack of policy actually being implemented and an enduring trust deficit between government, capital and labour. Speaking at a policy dialogue co-hosted by nongovernment organizations, the South African Civil Society Information Service and Friedrich Ebert Stiftung, former Competition Commission deputy commissioner and current eNCA economic analyst Trudi Makhaya asserted that government “hadn’t yet cracked” the appropriate policy mix to stimulate growth. While the National Development Plan (NDP) was largely well structured, it was not detailed enough to drive the formation of concrete policies. Talk around the plan had continued “ad nauseum”, she added. “The NDP is a good starting point, but it’s not perfect. The issue with the NDP is – like [development] policies of the last 20 years – that it doesn’t achieve the right policy mix. “We look for one solution [through a single policy] and become frustrated when it doesn’t work. It is here that you see the limits of the one-policy approach,” Makhaya commented. The same applied to fiscal and monetary policy, she said, noting that narrowly-focused policies would “hit the limit of what they can do” if not aligned with other policies. Independent researcher Vivian Atud added that policymakers faced the dilemma of not knowing whose interest to prioritise. “Whose aspirations [should be prioritised] to build an inclusive society; should it be the poor, big business, government or entrepreneurs? In my opinion, the needs and priorities of the unemployed, the poorest of the poor and education [are the most important]. “An inclusive economy is a matter of choice, not a destiny, and we need to start making the right policy choices,” she said. World Wide Fund for Nature South Africa Living Planet Unit head Saliem Fakir argued, however, that the trust deficit between government, capital and labour must first be dealt with before policies that answered to the needs of all stakeholders could be developed. “Not only is there distrust between government and business, and business and labour, but also between foreign capital and local capital, labour and government. This needs to be fixed,” he held. Makhaya, meanwhile, suggested that South Africa was not doing enough to include entrepreneurs and smaller players in the market. She accused big business of raising the barriers to entry for new companies and “crowding out” potential competitors. “The South African economy is a small system that needs to be moved out of a state of paralysis, and [cases that have come before] the Competition Commission have highlighted this lack of market liberalisation,” she remarked. Makhaya also lamented the “paradigms” that existed between business and labour, as well as each sector’s unwillingness to make sacrifices during critical periods of negotiation. “They are not willing to make trade-offs, there are always just demands. This fixation on ‘I want this and I don’t want that’ lands us in a difficult position,” she noted. The panelist’s observations came a day after ratings agency Moody's downgraded South Africa's debt to "Baa2”, citing poor prospects for medium-term economic growth and rising public debt in the continent's most advanced economy. The move, which sent the rand to its weakest level against the dollar in nearly five weeks, came after Finance Minister Nhlanhla Nene last month forecast a wider budget deficit for 2014/15 than seen in February, citing low government revenue.